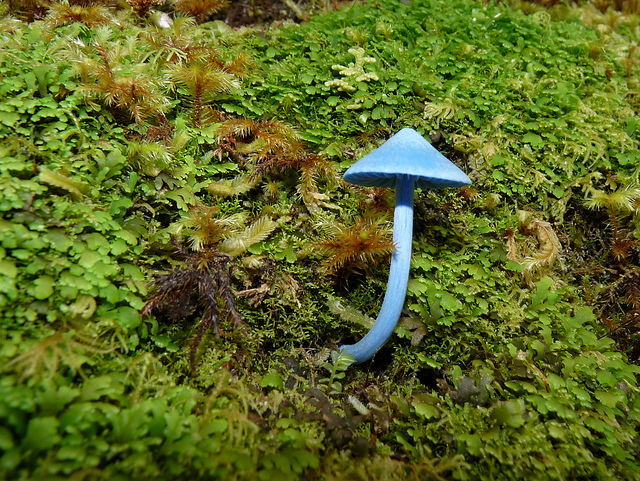 It looks like it could be something offered to Alice just before she makes a journey in to Wonderland but this sky blue mushroom is not a product of the imagination of Lewis Caroll. 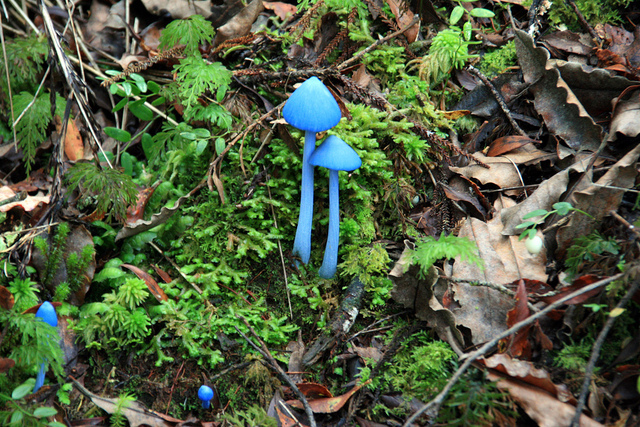 It can be found on both islands of New Zealand – and bizarrely enough in a few places in India. 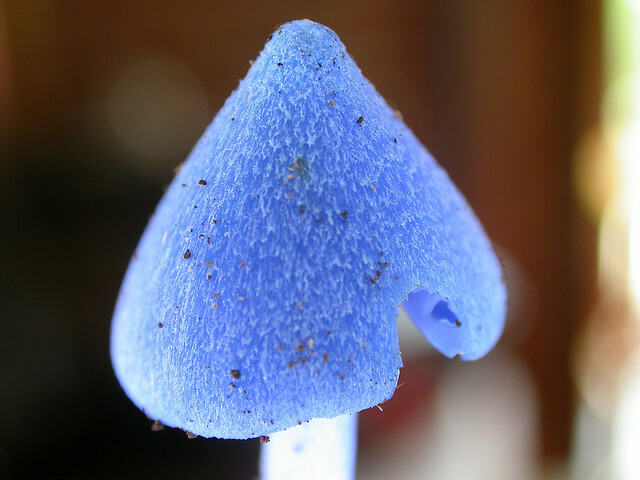 The sky blue mushroom does not have a common name other than, well, sky blue mushroom but if you have a moment for a real tongue twister its scientific name is Entoloma hochstetteri. 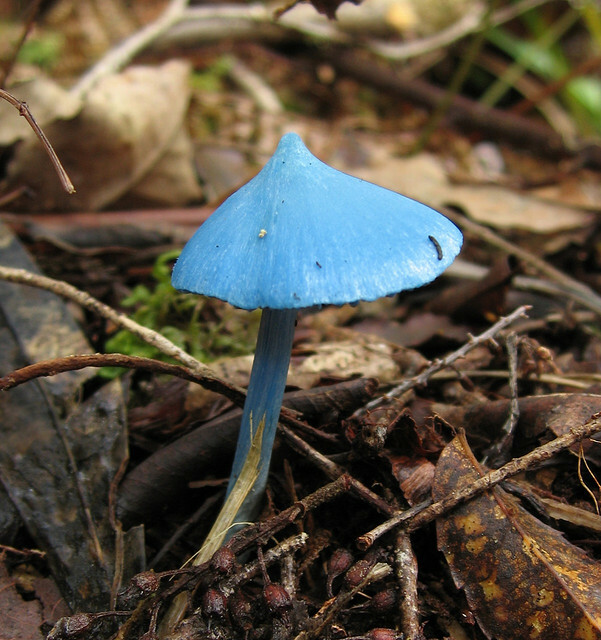 It gets its very distinctive blue color from pigments within the body of the fruit known as azulene. 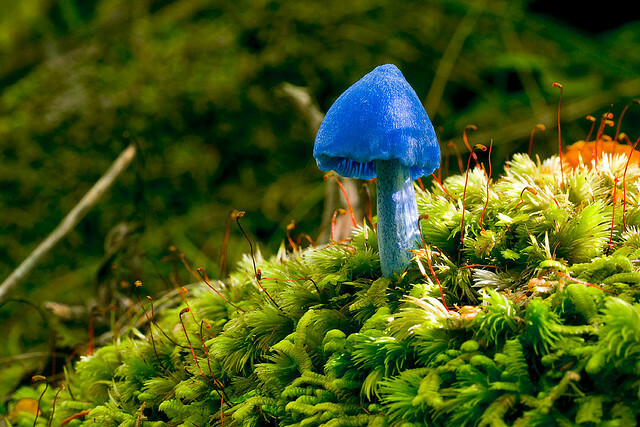 Azulene is found in nature as a constituent not only of pigments in mushrooms but of some marine invertebrates. 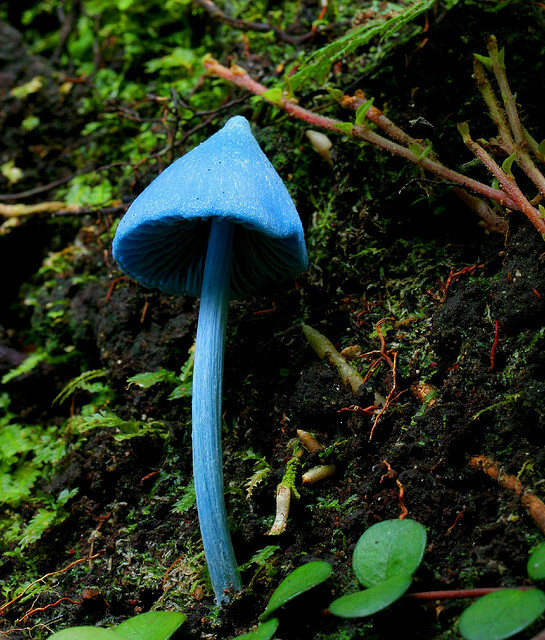 The mushroom appeared briefly along with five other native fungi on a set of stamps issued by the New Zealand government in 2002 and it can also be seen on the reverse of the country’s $50 note which was released in 1990. 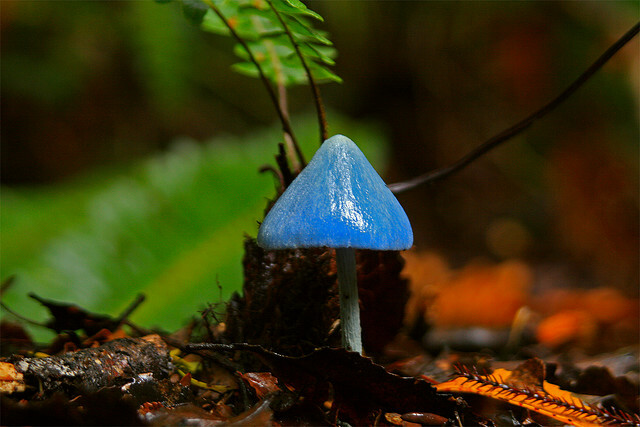 Outside of New Zealand, however, and people seem blissfully unaware of the existence of this incredible blue mushroom. 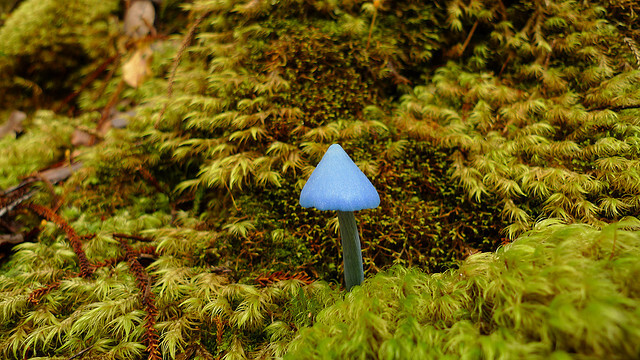 The fruiting body (or basidiocarp) of the mushroom is usually found among moss, ferns or fallen leaves and the cap grow up to around four centimeters in diameter. With a conical shape it does look like something out of a fairy tale or children’s story and the lush green backdrop of New Zealand’s woodland simply adds to the expectation (albeit a little infantile, but hey) that a pixie will start to leap around it at any moment. 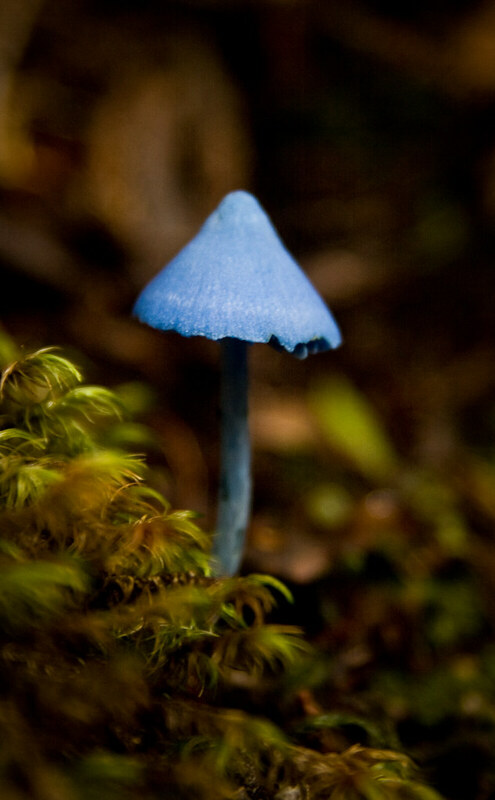 Although the mushroom is not edible it is not known if it is poisonous or not – no one seems to have tried to eat it so far in its history. It was first described by a European in 1866 so it is a little surprising that there has not been a willing Alice in the interim to furnish us with details of its edibility or otherwise. 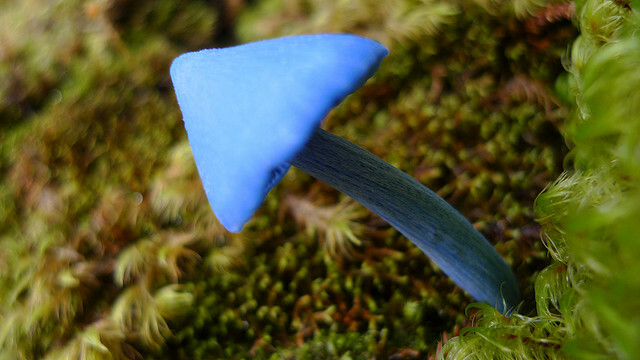 Yet other species in its genus are known to be poisonous so the likelihood is that this beautiful blue mushroom would not be much good in an omelette.